We firmly believe that a relaxing holiday begins with the rooms. For this reason we offer you an array of different styles of rooms, some of which we have just totally renovated and enriched with comforts. 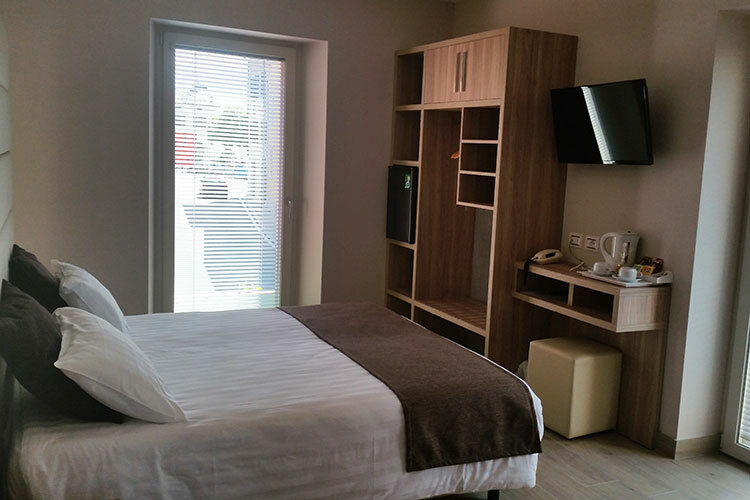 The newly renovated Superior and Deluxe rooms are equipped with air conditioning/heat pump. Choose your preferred room style and book now; on this site you are always guaranteed the best price. 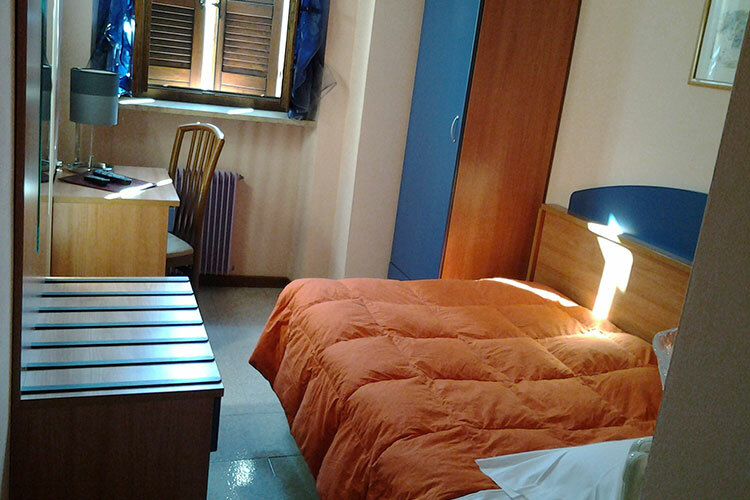 Two bedroom with two bathroom, air conditioning, minifrigo, kettle. Affirm your independence in pur two bedroom (and two bathroom) dream suite, ideal for a gathering with friends, family, or a special occasion! 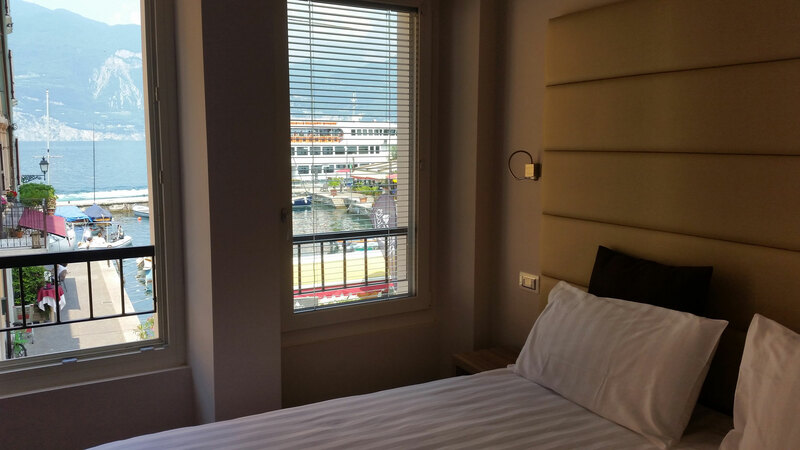 Room with balcony overlooking the port which can accommodate 2 or 4 people. The room is equipped with air conditioning/heat pump run by the ultra-modern domotics system to maximize your comfort. A very spacious and welcoming bathroom decorated in keralite with a roomy shower space and hair dryer. The room is elegantly in clean-line minimal chic style with ample wardrobes, comfortable beds using fireproof and anti-mite mattresses. The pavement is (gres) stoneware. The door and window fittings are sound-proofed to 57 decibels, fireproof door (std. Rei30) , mini-bar, kettle for hot drinks, safe for your valuables, flat screened TV, ample electrical connections and a USB-charging port. 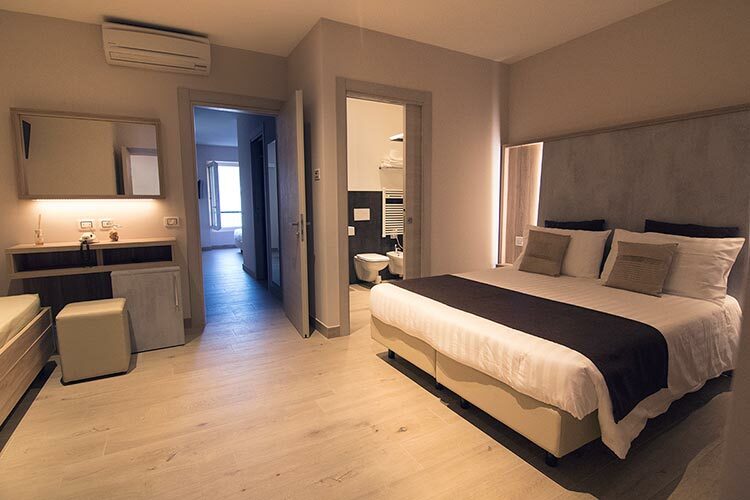 Each room is equipped with air conditioning/heat pump run by the ultra-modern domotics system to maximize your comfort. A very spacious and welcoming bathroom decorated in keralite with a roomy shower space and hair dryer. 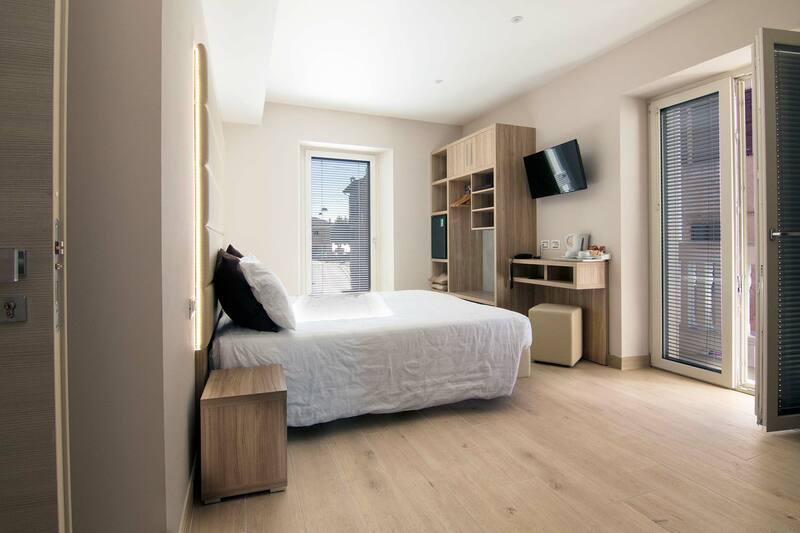 The room is elegantly in clean-line minimal chic style with ample wardrobes, comfortable beds using fireproof and anti-mite mattresses. The pavement is (gres) stoneware. The door and window fittings are sound-proofed to 57 decibels, fireproof door (std. Rei30), mini-bar and a safe for your valuables. 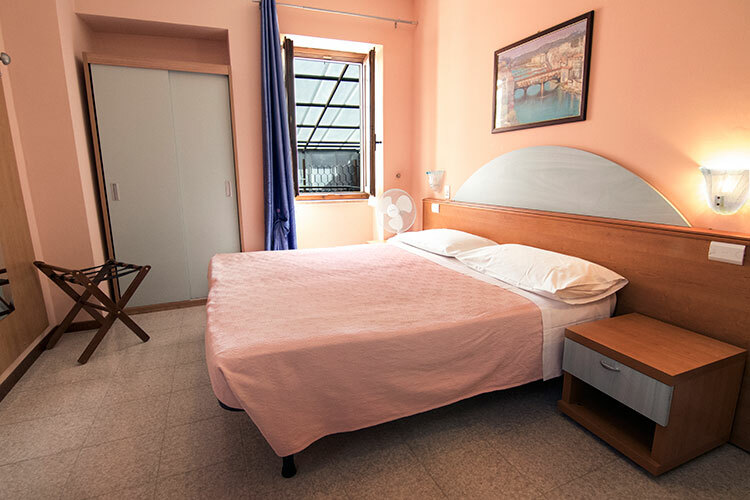 Each room is equipped with a private bathroom with shower, hair-drier, telephone, tv, wardrobe, bedside drawers a safe and a desk. All windows are double-glazed for your comfort. 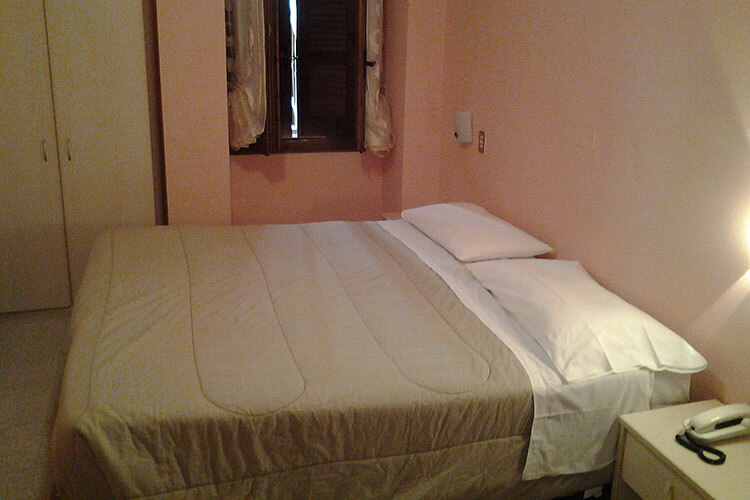 Room with single bed, private bathroom equipped with shower and hairdryer, telephone and safe. As well as the main hotel accommodation, you can choose to stay in our dépendance which is just 20 meters from the main building. 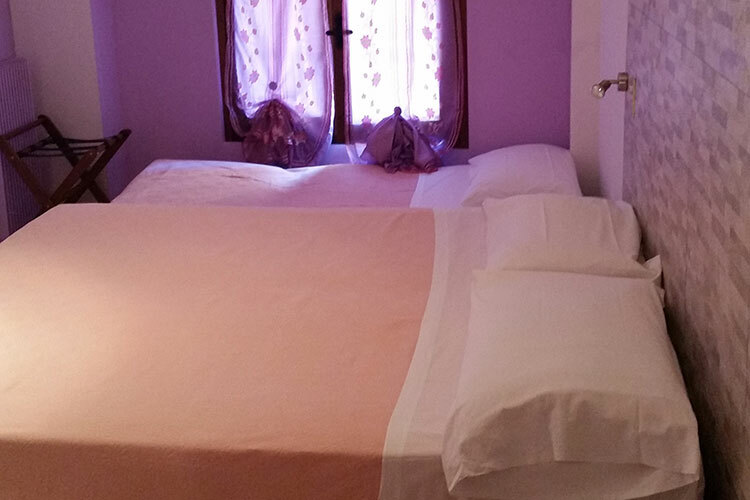 It consists of 8 comfortable rooms fitted in a converted medieval typical townhouse. Again each room has a private bathroom with shower. This is often a choice appreciated by those who wish to have the maximum liberty of when to re-enter after a late night out. 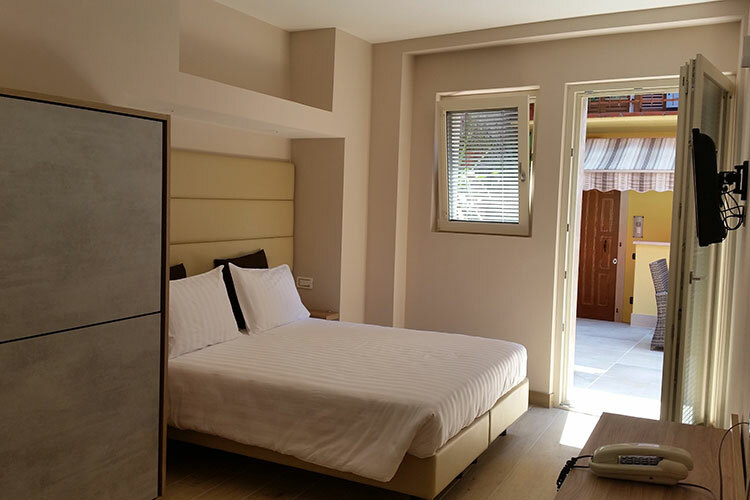 A standard double room with an outside view, equipped with a private bathroom with shower and hairdryer. Each room has a TV, telephone and safe. From these rooms you may enjoy the splendid view of the lake. 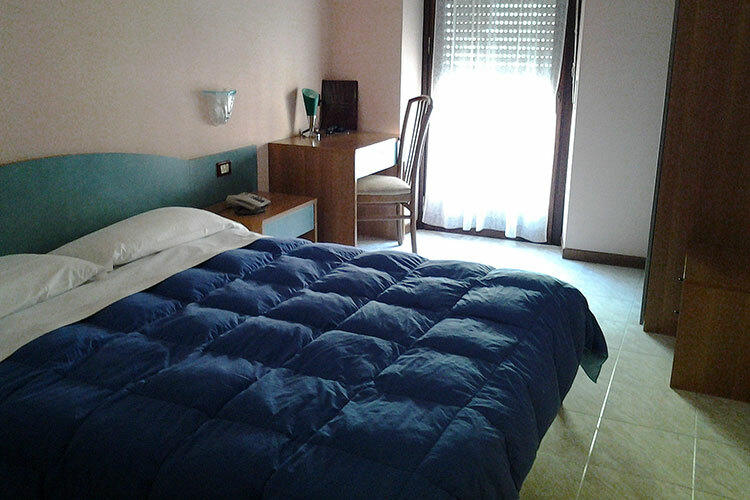 The room is fitted with TV, telephone and safe and offers a private bathroom with shower and hairdryer. 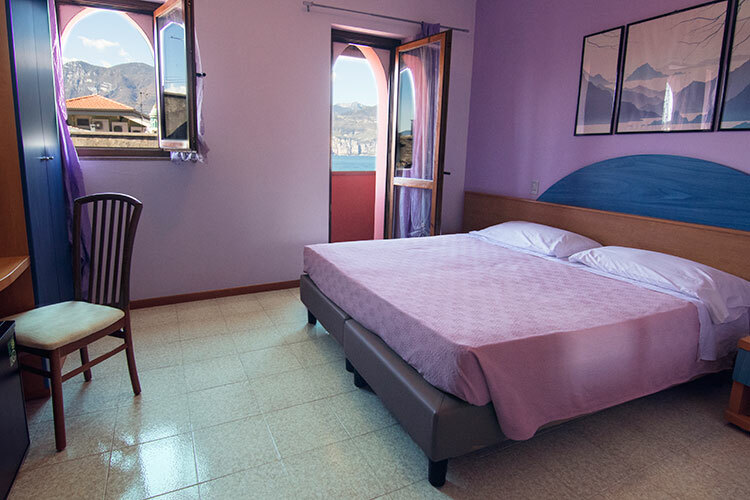 Our hotel contributes to the preservation of the environment of Lake Garda and our Earth. Hence we try to consume as little energy as possible. For this reason, most of our rooms do not have air conditioning. We find that the majority of our guests are happy to contribute by re-using the same towel more than once and ensuring the lights are switched off when they leave the room just as they would when at home. 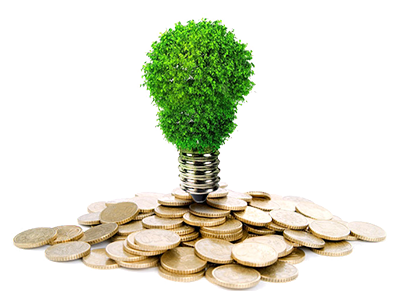 Also for these reasons we can offer you very competitive prices when compared to hotels of the same category.